Sakari provides a Bulk SMS service to send and receive thousands of text messages. Sakari is loaded with features to make creating, sending and managed your mass SMS campaigns easier. Quickly add, remove and import your data. Send group messages using tag and attributing targeting. 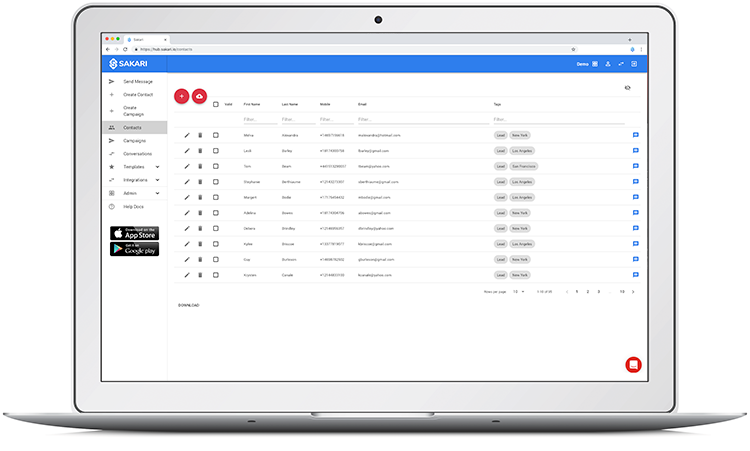 Set up messages for delivery on a single or recurring schedule. Personalize each message using a single template. Sakari makes it easy to add your existing data to account using our bulk text messaging tools. 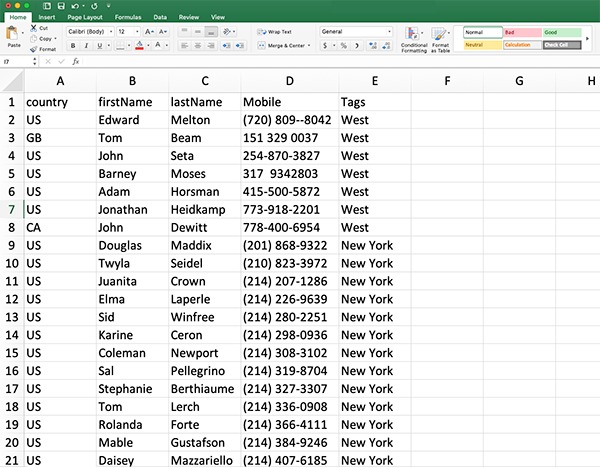 If you have your list of phone numbers in an Excel file, that’s all you need! You can also add core data fields like first and last name, and the contact’s email address. To organize your data even further, you can also add unlimited custom fields and contact tags as well. Send messages to your entire contact list, or specific people. Add unlimited custom fields and contact tags. Send a group message using filters based on any attribute or contact tags. Tags or attributes are data fields added to each contact record. These fields are completely customizable, and examples may include a State, business role, or customer type. Sakari makes managing these tags easy, with keyword searches and bulk editing. With the tags applied, you can send messages to specific users based on tag filtering. Send personalized messages using a single template. Include wildcard fields in your templates to automatically insert individualized contact information. 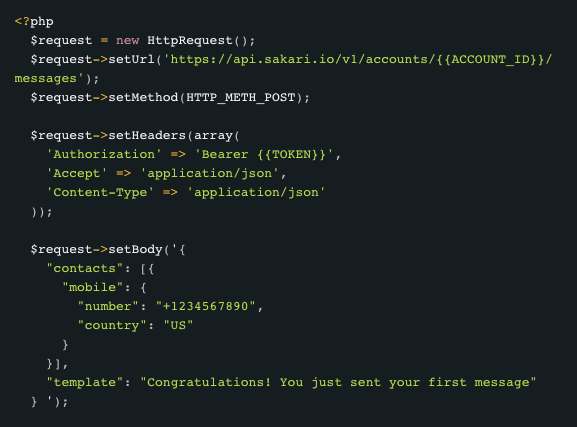 Sakari has a robust REST API built to the latest open API 3.0 standards. 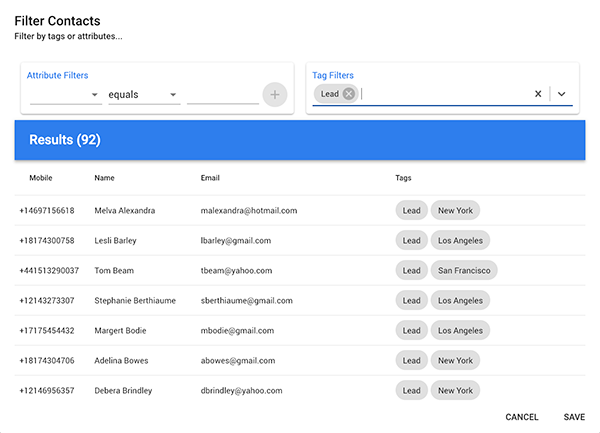 Using the API, you can add contacts, send and receive messages and create templates. We also have Zapier integration. With Zapier, you can connect Sakari automatically to over 1,300 of the applications you’re already using today. Popular connections include Salesforce, Hubspot and the full suite of Google products. Mass messaging, often also called bulk SMS, is a way to communicate by sending single text messages to thousands of contacts at once. This is accomplished by using a web-based messaging provider, like Sakari. The benefit of using a web platform to send your SMS is that it’s designed with tools to make this process easier. In order to start sending mass text messages, you must provide Sakari the data in order to send each message. At a minimum, Sakari needs the mobile phone number of your contacts, but unlimited additional data can be provided. The more information provided, the more your messages can be customized by incorporating this data in to your message (e.g. first names, appointment dates, etc). Manual – Contacts can be added individually using the Sakari web dashboard. While this is a manual process, it provides instantly availability and no time to set up. Bulk Imports – Bulk imports allow you to upload file directly from an Excel file in to Sakari. No development is required. The user simply needs to import their information to Sakari using a CSV file import and the data will instantly be available. SMS API – This is the most scalable option, but does require more work. The API will allow for direct integration in to their existing systems, but often will take some time to develop. Integration platforms like Zapier make this easier, but not applications have been associated. How Does Bulk Texting Work? Sending bulk SMS campaigns requires a subscription to a bulk SMS service provider like Sakari. Sakari is a web-based software program that allows complete management of your messages. Once logged in to the SMS software, you can add and edit your contacts in bulk, create and save your messages as templates, and send your messages. 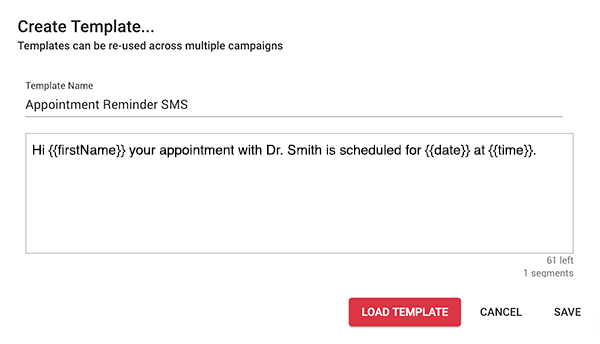 To send your messages, simply pick your message template, select your desired contacts, and click send. In seconds your contacts will be reading your message, wherever they are. After your message has been sent, each of your messages is managed as a conversation in the Sakari dashboard. As responses are received, you’ll be notified of replies by desktop notifications, and you can send replies in real-time. Why is Bulk Business Text Messaging Important? Many of the world’s largest businesses are using text messages today, and for good reason: it works. It’s 2019, and the way customers and employees want to communicate has changed. E-mails are often marked as spam; nobody ever answers a phone call from a number they don’t recognize. As the world has become more mobile, people prefer to use their cell phones. Text messaging has emerged as the primary way people want to communicate. Across each metric, text messages outperform emails in every way. SMS messages are opened more, opened faster, and responded to more frequently. According to a recent Customer Think study, text messages beat email across every metric. Text messages are opened 98% of the time. Texts have an open rate 5x higher than email, and are opened in less than 3 minutes. Because of this, businesses can use bulk SMS to immediately connect with their customers and employees wherever they are.